This petition has been created by Jim H. and may not represent the views of the Avaaz community. 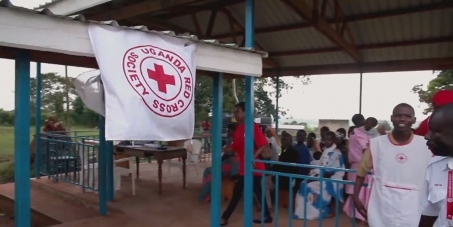 The above picture shows a successful International Red Cross operation where they proved that a new cure for malaria works in less than one day. You may already know that at this time more than 1.2 million people die from malaria each year, most of them children. None of these people need to die because there is a quick cure for malaria that takes less than a day and costs less that 25 cents US. More that 200 million people get malaria each year causing much poverty throughout the world in malaria countries. The International Red Cross knows of this quick malaria cure which they tested and proved on the 11th -16th of December 2012. There are thousands of others who know of this cure but who do not have the necessary finances to begin the job. The Red Cross operates because of the donations of the millions of people of the world. They have the money and they know of the cure that cures malaria in less than a day. This is a job that the Red Cross should do and they should not refuse because it will deplete their financial resources. These resources came from the people of the world in the form of donations. When others see the Red Cross curing thousands they will be encouraged to go and do the same. Please sign this petition and pass it on to as many people as you can. Help change the world. THE LIVES OF 1.2 MILLION PEOPLE HANG IN THE BALANCE AND THE SUFFERING OF 200 MILLION PEOPLE NEXT YEAR DEPEND ON YOU TO SIGN THIS PETITION AND PASS IT ON. THE STORY: Near the end of the 20th Century in 1997 I discovered a cure for malaria in the jungle rain forests of Guyana an English speaking country in South America. A mineral and chemical that has been known for more than 100 years worked for this purpose. The mineral is chlorine dioxide and it is not any more related to chlorine than table salt. At that time I cured malaria in the jungle for eight months while prospecting for gold. This mineral is now approved by the FDA for use on foods as a disinfectant and preservative and to purify water. However, the influence of the FDA does not extend outside the US. Ignorant and uncaring critics of the world who will not take the time to learn, have campaigned so vigorously and viciously against this chemical, because its name has the word chlorine in it, that the larger companies have been hesitant to try it. We need the larger companies to take this cure to the world and the Red Cross has the data and knows what to do. I have however cured more than 4000 malaria cases all total in various countries of Africa and thus I personally know that it works. Remember the lives that hang in the balance and please sign this petition and pass it on. (I do not sell this chemical.) This petition is an example of what is wrong with this world. This petition has been active for more than 2 years and less than 5000 signatures so far. This week 125 people read the petition but only 11 people signed it. The rest of you which is 90% didn't have the guts or time to check it out if you don't believe me. You have allowed more than 2 million people to die while you simply went on doing nothing to help this world. That's laziness and laziness is stupid as stupid people are stupid because they don't learn. I am sorry that I have to help you as you won't take the few minutes to help the millions that are dying. You don't deserve it.